Well maintained 2 story home centrally located in the Towne Park gated community. 2 bedrooms downstairs with full bath and master bedroom and office upstairs for maximum privacy. All appliances stay with the home. Beautiful back yard off the kitchen with mature trees and rose bushes and a nice deck with pergola for entertaining.Community boasts a clubhouse, 2 parks, 2 pools, tennis courts, workout room, privacy gates and walking trails.Convenient location close to I-40, KAFB, Sandia Labs, shopping, restaurants and much more. Don't miss the opportunity to see this great home! 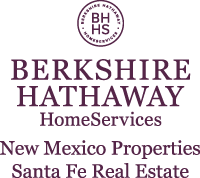 I am interested in 10608 Griffith Park Drive NE, Albuquerque, NM 87123. Sign up for Inside AccessTM to view recent sales near 10608 Griffith Park Drive NE.